Here are some upcoming bookish events in the Boston area! Check them out while you are picking up all those bookish Christmas presents. Sy Montogomery and Keith Ellenbogen talk about Octopus, their in depth look at the real life of an octopus. Not a kids book, per se, but probably a kid you know would love this! 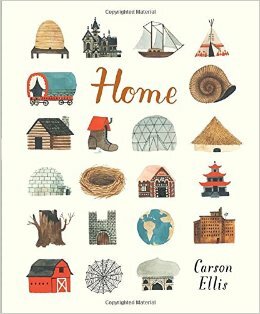 Carson Ellis, illustrator of many books, including her phenomenal new Home, a must see! Not a book event but their warehouse sale is December 5th and 6th! Go get books! DJ/Author Jef Czekaj will drop some beats, taking requests, and perhaps read some books. He's definitely a local favorite! Alice in Wonderland read-a-thon and Tea Party! This is the year of Alice! Carson Ellis! A little farther from Boston but a superb venue! You won't see...Jeff Kinney. He sold over 900 tickets to 4 different appearances here within an hour. It's a good time to write children's books!